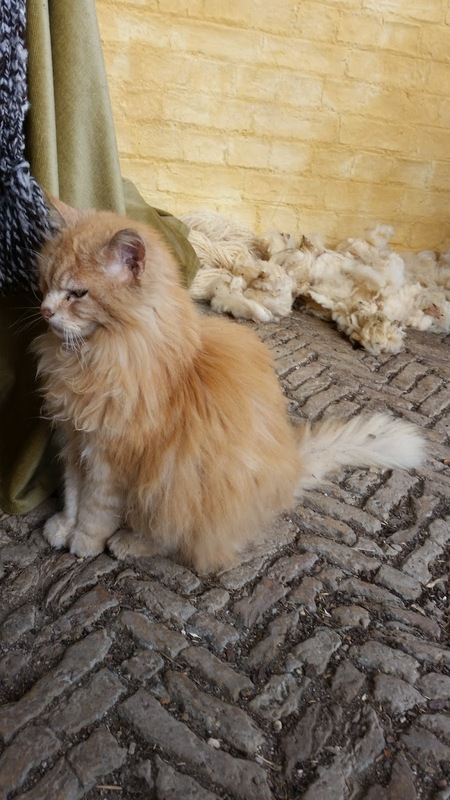 Resident cat in the stable courtyard at Wimpole Estate near Cambridge. This handsome fellow is elderly but very friendly. 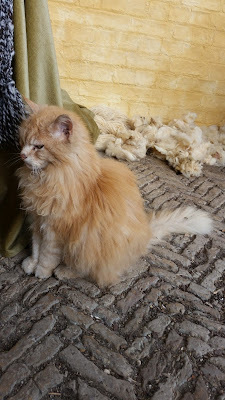 The piles of wool behind him are being hand-spun into yarn.